Psalm 23 is one of the most loved psalms. It has been recited in times of celebration, in times of loss and and everything in between. The author of this psalm was King David who had a good understanding of what it meant to be a shepherd. As a boy, David learned to care for the flock under his care so when he made the statement that The LORD was his shepherd, he knew what he was saying. When David said I shall not want (KJV), he was basically saying that he would not be in need of anything because of the shepherding care of the Lord. The NLT Bible says I shall have all that I need. Shepherds look after their sheep in every way. They lead them to green pastures, they protect them and they provide all that they need to live a good life. In John 10:12-16 Jesus tells us how a shepherd not only protects the sheep under his care but will gladly lay down his life for their safety. 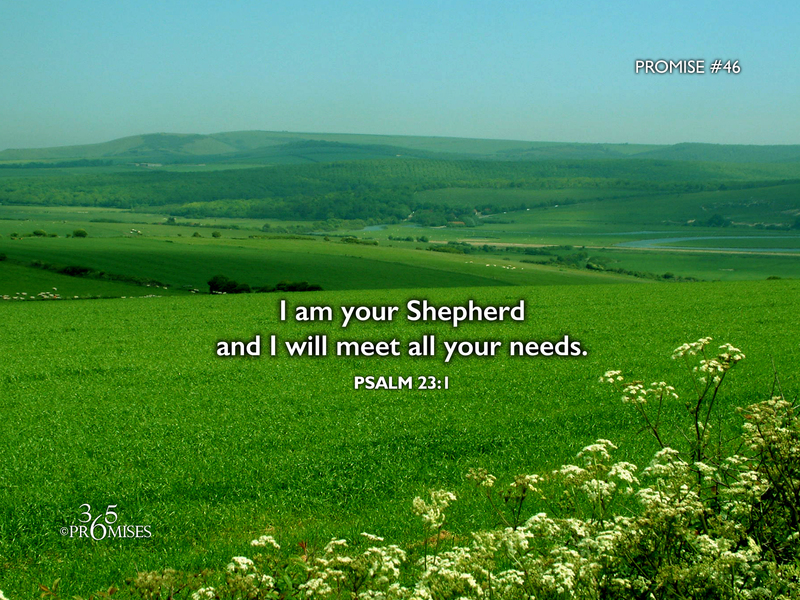 The truth is that Jesus is our great shepherd and because of His loving care we will have all that we need. My prayer is that the reality of this promise will go deep into our hearts today.